Food quality systems with institutional recognition are regulated, in the scope of the European Union, by the Community Regulations 2081/92 and 2082/92. This means that, in order to be able to make use of this official quality recognition, some very demanding quality levels and very strict controls must be achieved, which guarantees that all Denominations recognised at the European level achieve the same standards and quality levels, regardless of the country where this product is manufactured. 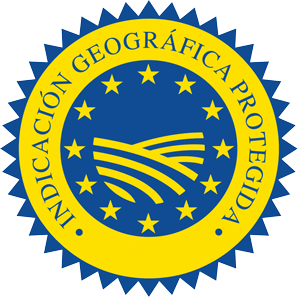 The Official Journal of the European Communities of December 29, 2001 enacted the 260/2001 Regulation, by which the European Commission granted the Salchichón de Vic and its Regulating Council the European distinction of Protected Geographical Indication (PGI), a reason by which the distinctive community mark that thus credits it is incorporated in its labelling. As a consequence, the denomination “Llonganissa de Vic” or that of Salchichón de Vic remain protected, and only those companies which strictly observe the above mentioned Community Regulation can make use of it. The protection in the use of the name Salchichón de Vic / “Llonganissa de Vic” is gathered at all levels. Thus, we find that, at the level of the autonomous region of Catalonia, the Official Journal of the Generalitat of Catalonia (DOGC) published, in June 5, 2000, the Order of the Agriculture, Cattle Raising, and Fishing, by which the PGI Salchichón de Vic was approved. Subsequently, the Official Estate Bulletin (BOE) enacted, in April 17, 2001, the Order of the Ministry of Agriculture, Fishing and Food, by which the Regulation of the PGI Salchichón de Vic is ratified. Finally, this process of recognition and protection of the product culminated with a first publication in the Official Journal of the European Communities (OJEC), in March 27, 2001, where the conditions of manufacturing of the product were gathered and, finally, in December 29, 2001, the Regulation 2601/2001 was enacted that granted this recognition and protection to the Salchichón de Vic in all the scope of the European Union, including this product among those that enjoy the consideration of Protected Geographical Indication within the scope of the European Union.